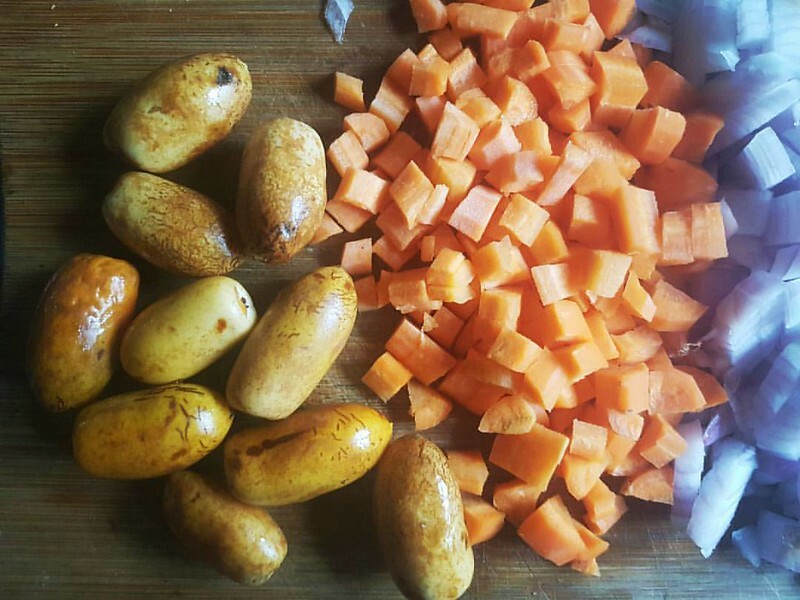 For the longest of times, I’ve been planning a cook with Malt – since 2011. 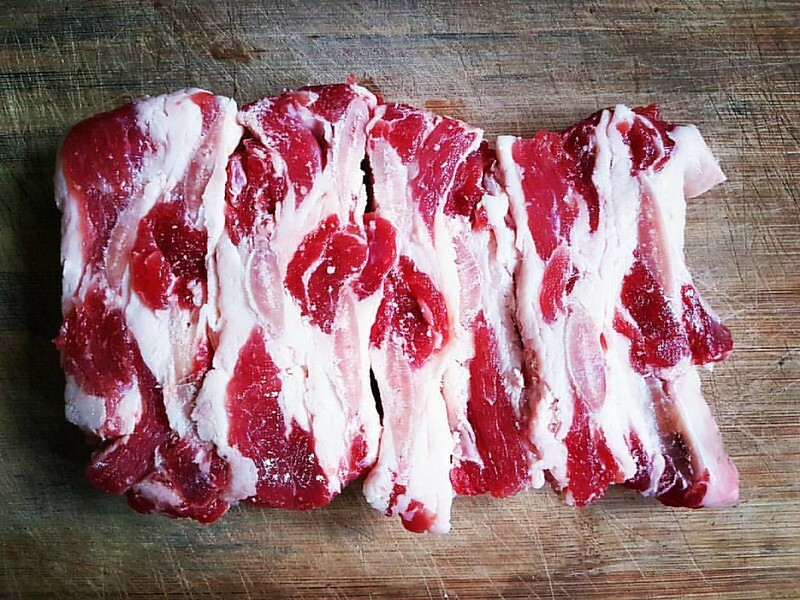 Five years on, I’ve braised pork leg in some and made a bacon jam. 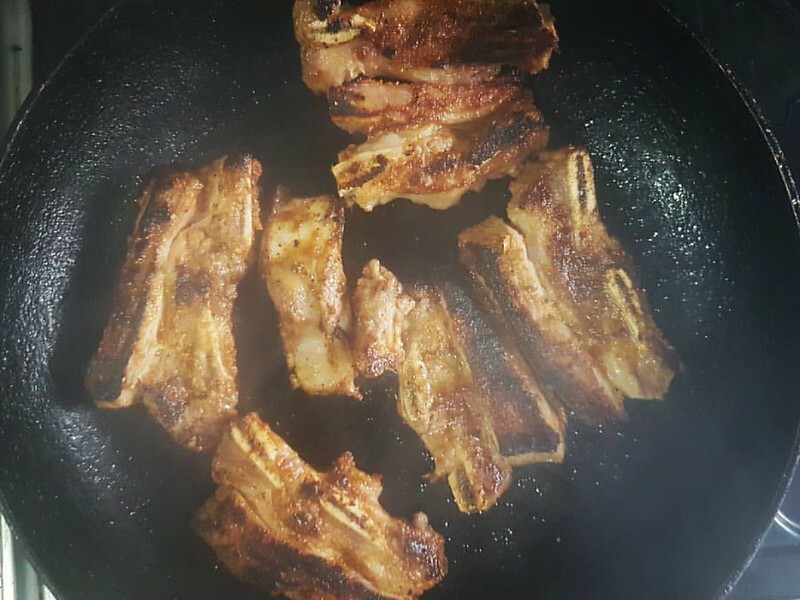 Here, I present to you, feef short ribs spiced with yaji, popularly used in Nigerian suya. Brown in a lightly greased pan. Note that this act is very smoky so keep doors and windows open. You’re welcome. Browning meat, also known as searing does a lot for a dish: it locks in and deepens flavour (and moisture?) as well as adds colour to the finished dish. 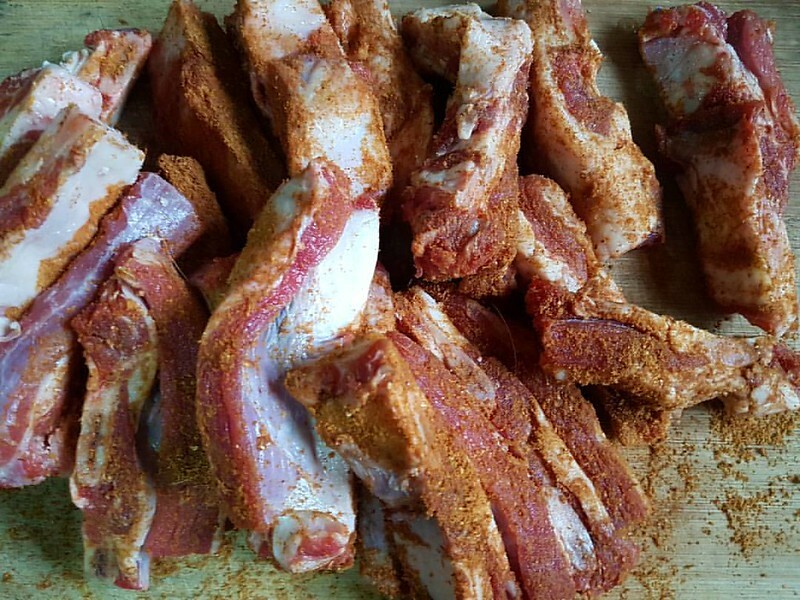 It might also kill bacteria that may be on the surface of the meat. Anyhow, the surface of the meat caramelises in what’s known as the Maillard reaction. The flavours that develop are a combination of nutty, caramel with a hint of bitter. 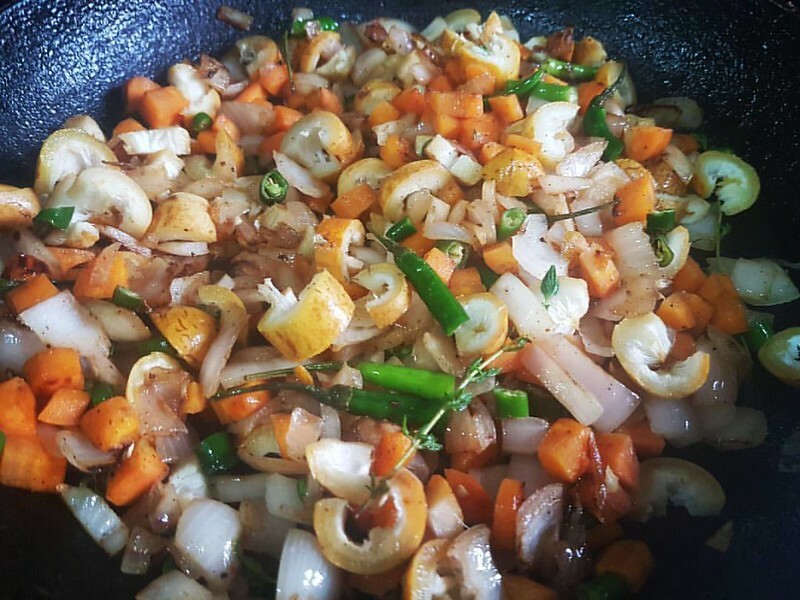 Prepare your vegetables – in this case, I went with carrots, onions, green chilies, fresh dates, fresh thyme. 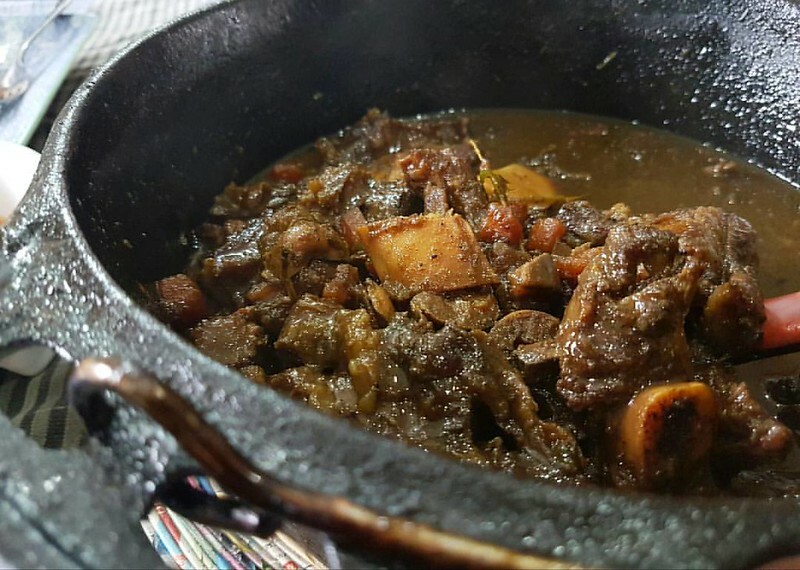 Then sautee lightly in a heavy-bottomed pot – a Dutch oven/ cast iron pot. 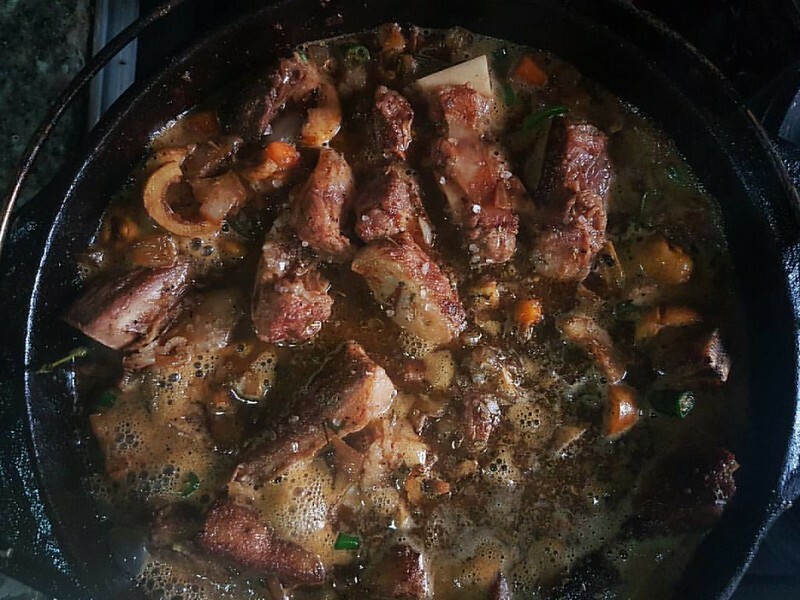 Combine the vegetables with the browned short ribs and top up with Malt drinks to braise. I ensure my meat and veg are covered. And then I pop the lid on and let cook on low heat for an hour or two, till the meat is tender. Along the way, I season with salt and pepper, to taste. 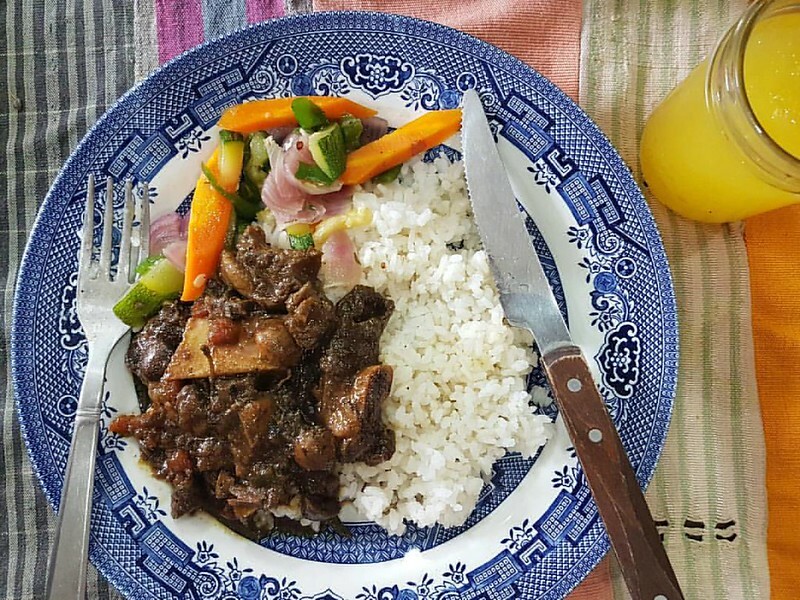 To serve: some white rice and sauteed vegetables work a treat. This is a combination that has never failed me. 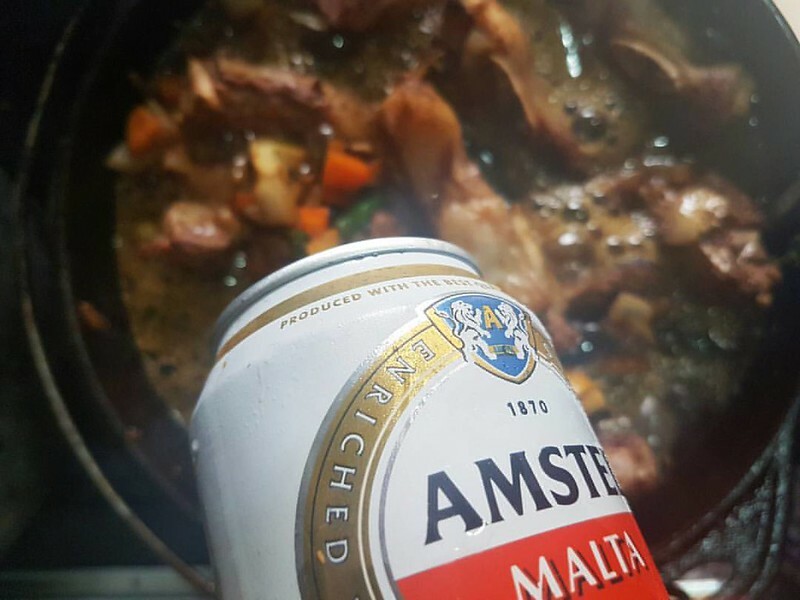 Have you braised in Malt before?